As horror fans, our love of the genre runs deep — and these five films prove love and horror often go together better than you might expect. Horror movies are loved by many people around the world for their ability to get audiences on the edge of their seats — even if they have their hands over their eyes. Along with horror movies, love stories are another favorite, providing that much desired feel-good factor. 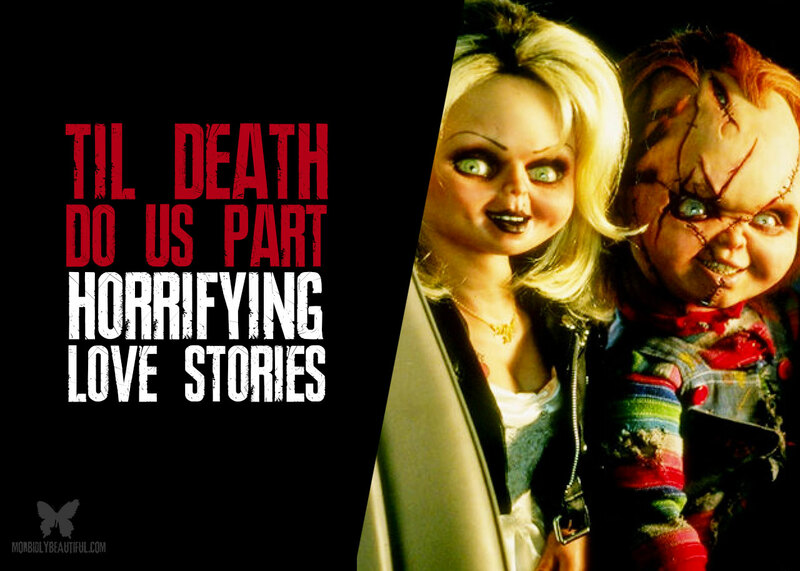 But the combination of horror and love has become very popular over recent years, with many scary plots accompanied by romantic elements (and vice versa). While it may not seem like love and horror belong together (dating horror stories aside), these five very successful films prove filmmakers can make audiences swoon and scream at the same time — with big box office payoff. Twilight is one of the biggest movie franchises of all time and a perfect example of horror elements successfully infused into a love story. Bella Swan, played by Kristen Stewart, moves to a new state and a new school. There she meets Edward Cullen, played by Robert Pattinson. Cullen is a vampire, but he tries to conceal this from his new love. As the two get closer, their relationship faces many obstacles — including other vampires intent on hunting Bella for her blood and a messy love triangle with a werewolf. This fictional love story, based on a popular young adult book series, inspired a successful franchise and the devotion of legions of adoring fans. While there’s plenty of debate as to whether these films can be categorized as horror, it’s likely ‘horror light’ at a minimum. And, love or hate these films, there’s no denying their popularity — inspiring further movies, books, merchandise, and even the slot game Immortal Romance developed by Microgaming. At first glance, both The Conjuring and its sequel are packed full of horror in the form of ghosts, ghouls and demons. However, these movies have a love story at the core. Ed and Lorraine Warren, paranormal investigators, survived every threatening situation they found themselves in because of the love they had for each other. During the film, some of the most famous cases of this real life couple, are brought to life for viewers. 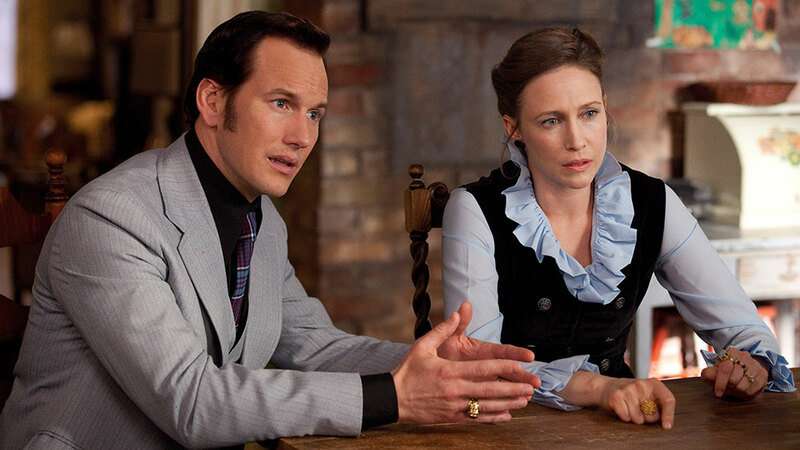 With plenty of disturbing paranormal activity and no shortage of scares, The Conjuring proved to be an enormous hit with horror fans. The film spawned more than a successful franchise — it spawned an entire cinematic universe, with many successful spin-offs and iconic horror characters, including Annabelle and The Nun. However, its success is likely based as much on the chemistry between the two leads as it is on the supernatural terror. Shaun of the Dead may be a comedy horror film, but there’s so much more to it than you’d first believe. Simon Pegg takes on the role of Shaun, an ordinary bloke living a rather ordinary life. He lives with his best friend Ed, played by Nick Frost, and when he’s not in the flat he’s at work at an electronics store. The only bright light in Shaun’s life is his girlfriend, Liz, but she wants Shaun to step up and be a man. As fate would have it, he gets his chance to do just that when the town is overrun with zombies — forcing him to not only protect his girlfriend, but his mother too. Shaun of the Dead has become one of the most beloved and imitated horror comedies of all time. But it won the hearts of moviegoers everywhere by being as sweet and charming as it is hilarious and bloody. Is there a more frightening and disturbing doll than Chucky? 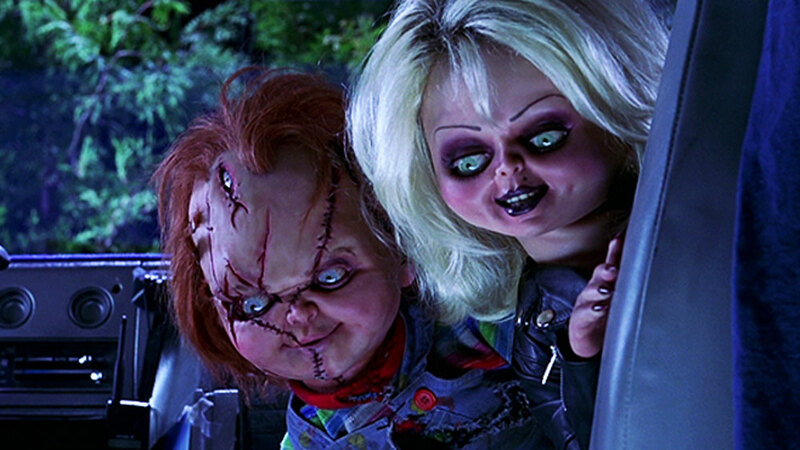 Well, in Bride of Chucky, the terror is taking to a new level when the sadistic and foul-mouthed ‘Good Guy’ reunites with his ex-lover, Tiffany. The deadly duo embarks on a murderous spree, which conjures up some of the scariest cinema of all time. All the while, the two share a Bonnie and Clyde type love affair, bound by common interests and shared passions. Of course, in this case, their favorite past time is more ruthless than romantic. Nevertheless, there’s clearly a love between them, even if it’s fueled by a shared taste for murder and mayhem. This twisted film mixes horror, romance, and comedy gold all into one insanely fun package — and the result is a true horror classic. Warm Bodies explores a human population divided into two parts – zombies and humans. R is a zombie, but he’s different than all the others. He’s not a mindless killing machine, but rather a complex being with surprisingly human emotions. This is shown when he rescues a human named Julie after she is attached by the walking dead. Julie sees the good in R and quickly realizes he’s much more than meets the eye. As the two get closer, a relationship begins to develop. And R starts to become and more and more human. This leads to events occurring that could change things on the planet forever. Like Shaun of the Dead, this film offers a refreshingly fun and unique take on the well-tread zombie sub genre. And it ends up being surprisingly romantic.